As part of SVA Products of Design’s partnership with Veterans Affairs (held through the Design Research and Integration class taught by IDEO’s Lawrence Abrahamson), we designed a number of solutions to improve women veterans’ experience in three different areas specific to visiting the VA Hospital: transportation to the hospital, wayfinding once in the building, and pre-appointment communications. The team was given the prompt of understanding why there was a higher rate of missed appointments within the women’s clinic of the hospital as compared to the other departments. We conducted extensive interviews with veterans—those who do and do not use Veterans Health Administration (VHA) services—VHA doctors and staff, as well as other professionals who provide services to veterans. Our team (Team No Show) consisted of Bernice Wong, Lassor Feasley, Juho Lee, Chris Rand, Kuan Xu and myself. Bringing together what we heard from the interviews, the team was able to map the journey of a woman veteran as she navigates the various touch points of obtaining and attending appointments at the hospital. We decided to design for the three areas which we felt were key pain points described by interviewees across the board. 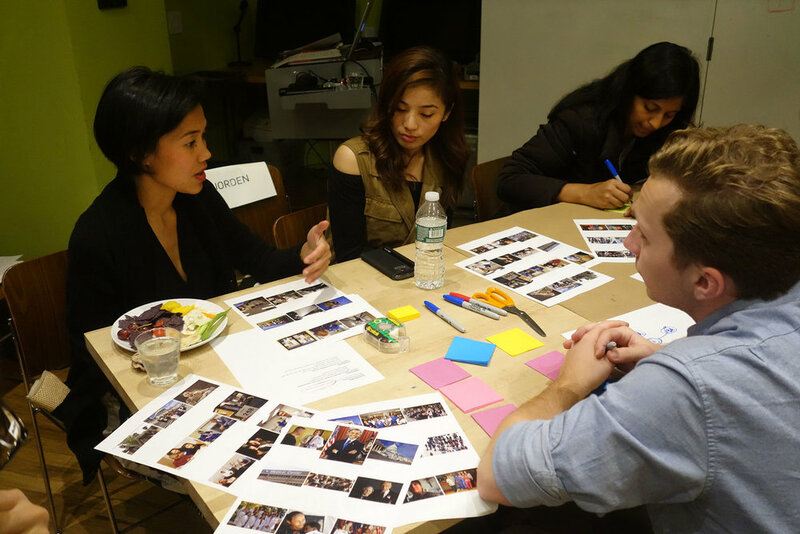 In order to focus our efforts, the team split into three pairs, where each pair was assigned to focus on an area in the service journey, based on the insights below. We found that women veterans face challenges travelling to the hospital for several reasons. They may need to make numerous arrangements including taking time off work, scheduling childcare, juggling school demands, and more. Oftentimes, this means that their personal health falls to the bottom of their list of priorities. “Women veterans always put their family first,” said one VHA administrator, “they prioritise their children or grandchildren over their doctor’s appointment.” We also learned that many women veterans experience difficulties with mobility or mental health as resulting from their time in service. We were shocked to learn that currently, up to 20% of women veterans have PTSD, and that 55% of women veterans have experienced Military Sexual Trauma (MST)—a higher rate than ever before. Alarmed by the statistics, the team looked to existing alternatives for private or semi-private transportation, finding the options to be either too expensive or overtly taxing upon anyone with mental or physical trauma. Determined to seek out alternative transportation options, we reached out to representatives from the four rideshare companies with a presence in New York: Uber, Lyft, Juno, and Via. We designed branded interfaces to propose different, viable methods by which the organization could support veterans. Having received a favourable response from a representative from Via, we directed our efforts into making the feature work with their existing app. 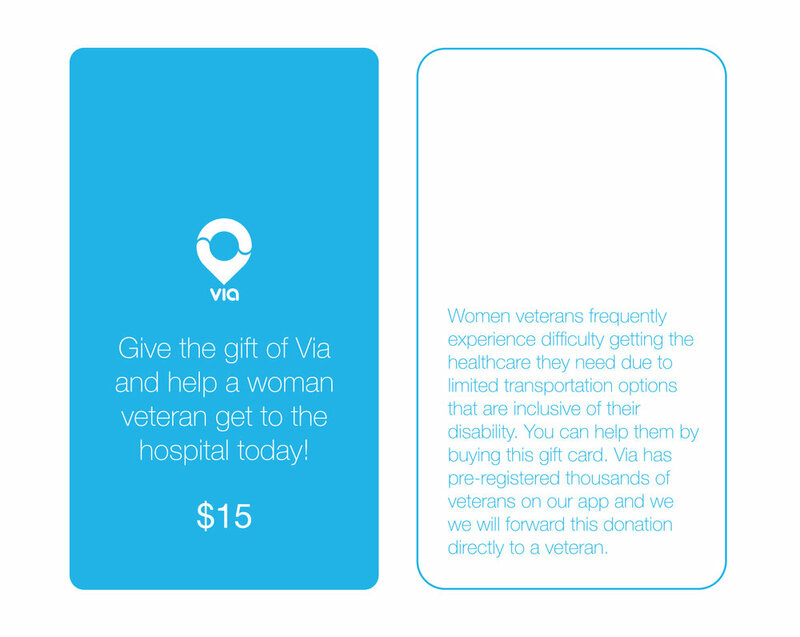 The collaboration with Via would help enable veterans to get free or discounted rides when they travel to the hospital for their appointments. An additional initial setup for veterans can help Via verify their veteran status using their ID cards and present those users with a customized interface of their app. We proposed three ways in which providing this service to veterans could be feasible for the company. The first was for them to provide discounts for rides originating at and going to the VA hospital. Depending on the number of veterans that make use of this feature, the company was willing to absorb the cost for these. The second, more sustainable way, is to give civilians the option to gift rides to veterans within the app, at the end of their rides. 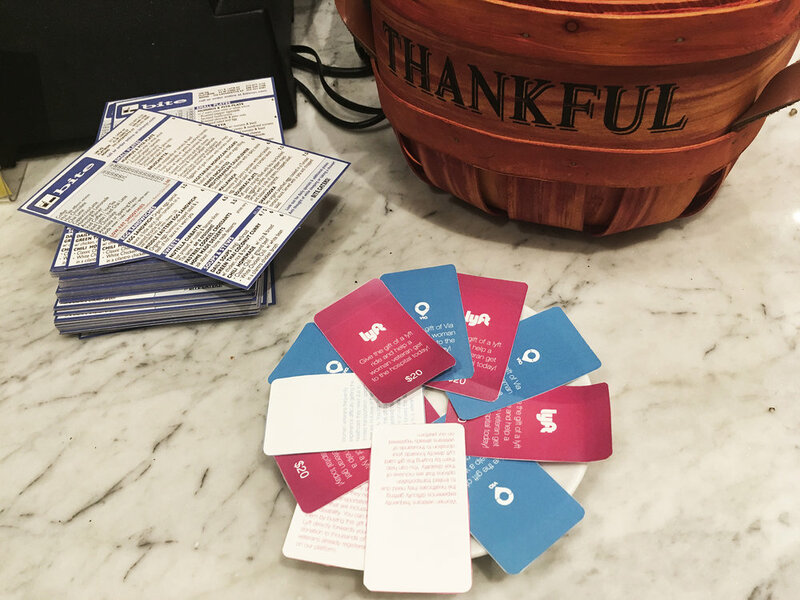 The third proposal was to provide civilians the ability to purchase Via gift cards at coffee shops which would then be sent to the VA hospital and can be handed out to veterans when they make an appointment. The women's clinic in the VHA has strived to create a safe and comfortable environment for women veterans. Unfortunately, this environment does not often extend past the clinic's walls. Women, especially those who have experienced MST, can be made to feel uncomfortable by some of their male peers. The team looked to opportunities where we could humanize the language of pre-appointment communications with women veterans. Given the complex and highly regulated environment of the veteran health care system, much of the print information available to patients was impersonal and difficult to parse. We hoped to re-evaluate these touch points, including the appointment reminder letters, seeking opportunities to integrate more precise and comprehensible language. Unable to change system or attitudes of male veterans, this being beyond the scope of our project, we wanted to at least guide women veterans to safe spaces, as quickly as possible. The team arrived at a subtle system of strategically placed ‘breadcrumbs’ leading to the 9th floor women’s clinic. While marking this route, we wanted to remain unobtrusive to the greater hospital landscape. We did this by making use of colors and strategic areas such as hallway corners and door handles, which are often left unused. 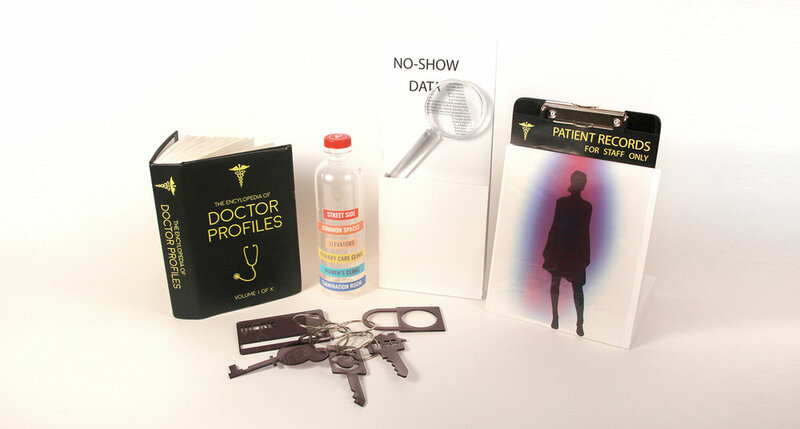 The two prototypes below were made using cut pieces of acrylic to show the VA representatives a minimum viable solution that could be executed immediately without a need for an extensive budget. Another critical realization for the team was that the patient journey starts at home, once the woman veteran receives her appointment confirmation and details in the mail. This lead us to redesign the brochure that comes with her appointment package, to both introduce the symbology of the breadcrumbs and extend the personal, comfortable environment of the women’s clinic to the home.